ATLANTA, GA (August 21, 2012) – Being the mayor of your favorite restaurant is cool, but being a Rock God is epic. Moe’s Southwest Grill’s new Check-In Club rewards fans for checking in across social platforms and locations. 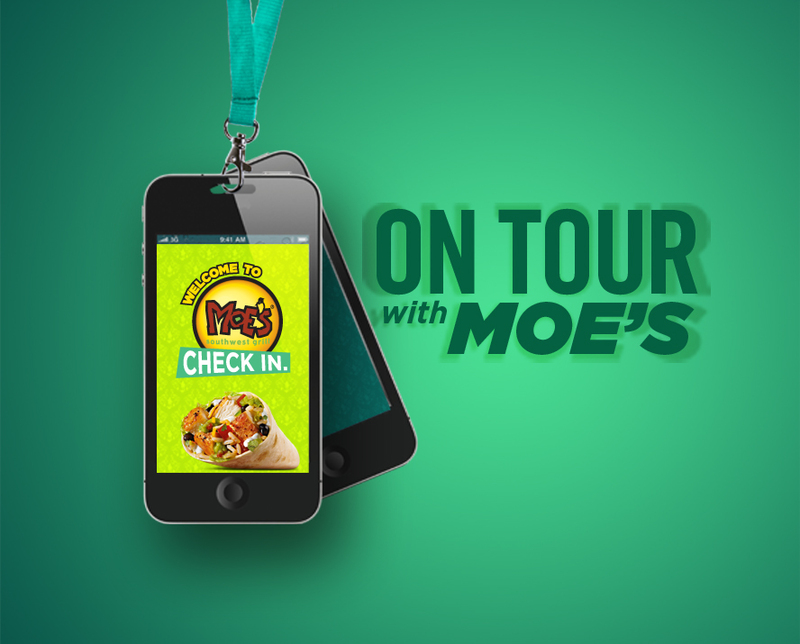 Here is how it works: register at www.moes.com/check-in, connect your Facebook and/or Foursquare account, check in every time you visit any Moe’s location and begin earning prizes. Once you’re in, you can reach coveted rock ‘n’ roll status levels like Roadie, Rock Star and Rock God for checking-in when you chow down at any Moe’s location across the country. Members are automatically entered into the Take the Queso to the Banko Sweepstakes. The more members connect and engage with Moe’s, the greater their chances at winning. Guests can earn chips by doing things like sharing the contest link, leaving a tip on Foursquare, or checking in on a double chip day like Moe Monday. Each chip earned equals one entry into the sweepstakes. Moe’s will select winners at random on September 26, 2012. The grand prize winner will take home a $500 Moe’s gift card and five other lucky winners will get $100 Moe’s gift cards. For those who just love the spirit of competition, the Check-In Club website features a leaderboard that highlights Chip Leaders, a map showing all check-ins per state, a Foursquare feed with tips and photos from Moe’s restaurants across the nation and of course a member page that highlights your status and rank amongst the rest of the club members.